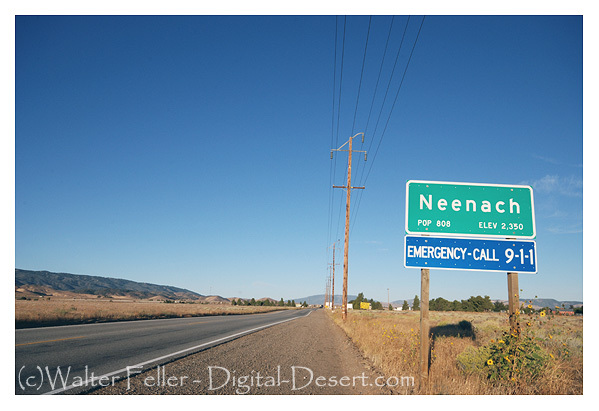 The center of activity in the great Antelope Valley has been the long existing settlement of Neenach. 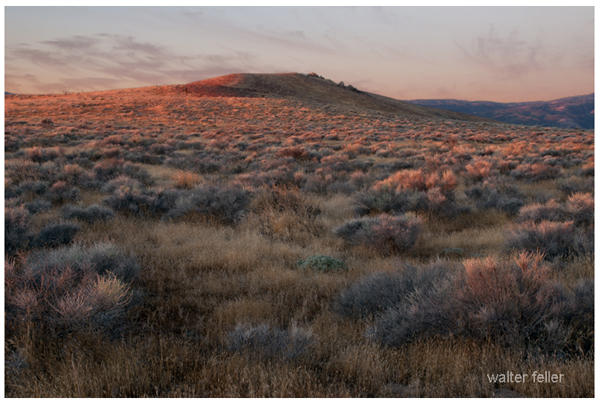 Located fifteen miles east of Gorman it formed as a result of being surrounded by the homesteaders, ranchers and farmers of the area. Some of the early settlers there in the 1870's were from the Danish community of Neenah, Wisconsin and named their new community the same. When a post office was established in 1888, by postmaster John A. Coovert, someone get the spelling wrong and it became Neech, which through the years has evolved to Neenach. The Neenach water district was also formed in 1888. The Barnes family are among the earliest and longest residents of Neenach. James and Elizabeth Barnes came to the Valley in about 1887. James filed their homestead claim in Los Angeles in 1887 for 160 acres at the corner of the present 300th Street and Hwy. 138. James had a contract with the county to maintain and improve roads in the Valley and on up to Three Points. Three of the Barnes eight children stayed on in the Neenach area. Pete took over the family homestead and worked on the building of the nearby aqueduct, Tom farmed in the area for thirty years and Roy and his family have continued farming in the Valley to the present. Roy's wife, Mattie, came to Neenach with her parents in the early 1900's. Her father, James Anderson, was a line rider or patrolman on the Los Angeles Aqueduct. Most of the aqueduct was an underground concrete channel that they would shut down periodically to check. Anderson would have to enter a manhole and walk the tunnel to check it out. His wife, Julia, or daughter Mattie, would help him do this by riding the horse to the next manhole. Sometimes he would lower one of them into the hole to walk the damp dark tunnel while he rode on to the next cover. For the most part he would just ride the surface to check for damage as there were those in Northern California who were not happy with the water going to Southern California. Also residents of Neenach were the Womersleys. Harry Womersley had come to America from England. After marrying his wife, Maria, in Illinois, he worked his way across the country and eventually was hired by the contractor who was to build the twelve miles of the Los Angeles Aqueduct from Fairmont to Neenach. Harry and Maria's oldest son George Womersley settled east of Neenach where he and his wife Rose had a farm across from the Barnes place. They had two daughters, Eleanor and Rosamond who attended the Neenach school. Just north of George and Rose was the Duntleys. Frank and Sarah Duntley probably came to Neenach about 1910. They had seven children who would have all attended the Neenach school with the Womersley girls. Frank Duntley raised, trained and sold mule teams. He was a teamster himself and would haul supplies for the mines in Lockwood Valley, up into the Sierras, to the desert and down into Los Angeles. He and his teams were also hired to work on the Los Angeles River bed and to build roads in that growing city. The wonderful old Neenach school Building of the 1920's to the 1970's was removed in the late 1980's. It was replaced with the present school of the West Side Union School District just north of the predecessor school in the early 1990's. The first Neenach Post Office sat next to the beautiful old long house at about 269th Street until the postal services were moved to the Biddick property where Mrs. Biddick distributed mail from her home. Postal records indicate the post office continued to operate until 1929. another building of the area was advertised in the 1909 automobile club publication which suggested that: "good meals may be had at the Neenach Hotel", location as yet unknown. The Neenach area was long known for its almond orchards. An interesting side note is that during World War II the almond hulls were put to good use as they were ground up and used in the making of gas masks. "W.J. Rogers, a former rancher is given the credit for the Neenach discovery. Eleven months ago he purchased 80 acres, the ground upon which the discovery was made, from a former Lancaster merchant who had taken the land in payment of a store bill. The reputed price paid by Rogers was $1,000. It was his intention to operate the property as a chicken and goat ranch. In deepening a spring on the back part of the property he ran across what appeared to be gold colors. The sand from the spring was assayed and his expectations were realized - it was gold. In order to get capital to develop the property, Rogers took in two partners, Gentry and Freeman." It was reported that the "Oh Suzanna" produced some $7,000,000 over its few years of operation and a lease to the east of it took out some $22,000,000. Rogers and Gentry lost their mining claim by the late 1930's due to a dispute over the ownership of the land and lease. A meteorite discovery in the Antelope Valley. 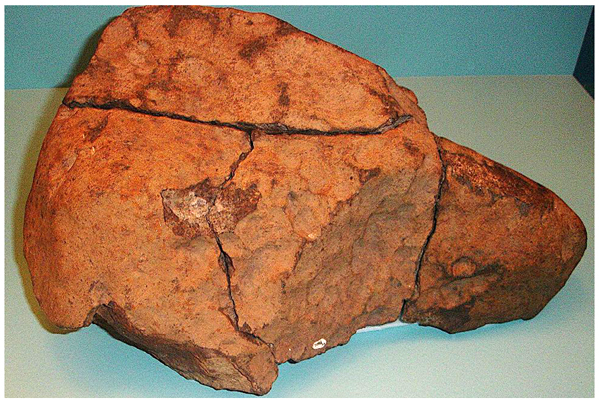 A stony meteorite at 13.8 kg, found in 1948. An enstatite-olivine chondrite with liberal inclusions of Ni-Fe throughout a greenish-gray interior. In April of 1948, this meteroite weighing 30 pounds was found on a ranch near Neenach in the western Antelope Valley. Mr. Elden Snyder unearthed it with his plow in the process breaking it into four pieces. The rock was unusual enough that Mr. Snyder saved it and placed it on the porch of his ranch house. In the fall of 1952, Mr Chrales Johnson of Lancaster, California brought it to Dr. Robert Webb, at the University of California, Santa Barbara. Later it was added to the collectionat UCLA's Institute of Geophysics & Planetary Physics.